Sinead Sperrin graduated from Newcastle University in 2012 with a Bachelor’s Degree in Physiotherapy. During her course of study, she gained clinical experience in various areas, including private practice, cardiopulmonary physiotherapy, neurology, community services, post orthopaedic surgery, and hospital outpaitents. 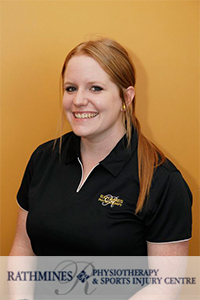 Sinead is a current member of the Australian Physiotherapist Association, and has been an active member since 2008. During this time, Sinead has utilised their educational resources to continue to provide the most current and evidence-based care for her patients. Sinead has completed the Level 1 Lymphoedema training course. Sinead has a passion for improving the well being of those with Lymphoedema.